If the intermingling of intense creative genius with foresight has ushered in a new age in architecture in Bangladesh, then Mazharul Islam is the man who initiated it. He single handedly changed the course of architecture in modern Bangladesh. His works have now become classics, ones that inspired many contemporary architects in the country. The works that comfortably blended Western minimalist idiom with Bangali ambiance helped reshape the idea of modernism in this region. In the arena of modern architecture, his works defined the very essence of Bangali modernism. For the first time ever in Bangladesh the most coveted Lifetime Achievement Award in the field of Architecture has been awarded to Muzharul Islam. It is a recognition of his effort to single-handedly reconstitute the paradigm of an architectural discipline in Bangladesh. Berger Paints Bangladesh Limited in association with the Institute of Architects Bangladesh (IAB) honoured him with this award, on the occasion of Berger Young Architects' Award 2005. This is a biennial event that had begun in 2003 to inspire the young talents of the country. 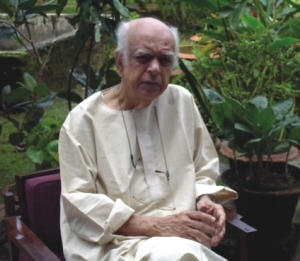 Born in December 25, 1923 in Murshidabad, Islam has been active since the early 1950s in defining the scope and form of a modern architectural culture, first in Pakistan and then, after 1971, in Bangladesh. His steadfast commitment to a modernist ideology stems more from his political commitment than a mere search for architectural vocabulary. What he searched for is an alternative ethical and rational approach geared towards addressing the social inequities and the accompanying deprivation of much of South Asia. He went to America in 1950 and studied at the University of Oregon for two and a half years for his Bachelor's degree in Architecture. In 1956, he got a scholarship to study tropical architecture in London at the Architectural Association School of Architecture. Under Paul Rudolph, he completed his post-graduation from Yale University in 1961. He was the Senior Architect of the Government of East Pakistan (1958-64) before opening his own practice in Dhaka. Islam has designed and built universities, large-scale housing, government buildings and institutions. His architectural production, from his earlier skeletal approach expressing the pavilion paradigm of the hot-humid Bengal delta, as in NIPA (1964) and his own house (1964 - 1969), to his later stereochromic, earth-hugging idiom, best reflected in the National Library (1979), has sought to develop a place-oriented architecture. He based his works on contemporary tectonic and constructional techniques, and each of his creation was a conduit of environmentally sensitive responses. His large-scale projects: the Polytechnic Institutes (1966), Jahangirnagar University (1967-70), and Joypurhat Housing (1978)- have reconciled the dichotomy of city and country and have suggested alternative notions of urbanity. According to Islam, " Cities should provide the environment for civilised life within the context of our own cultures. The city can develop only as a part of the physical environment of the country with the ultimate aim of abolishing all differences between the city and rural areas. The traditional relationship with nature (still existing to a certain extent in the villages of Bangladesh) should be continued in the cities." As Professor Shamsul Wares puts it, "I can see a transformation and creativity in his work as an architect. As a result, we found a no-frill modern architecture free of decoration or ornamentation. It was about the creation of spaces with enclosures and with the necessary elements only. We found architecture with planes, lines and space in Chittagong University as well as in Jahangirnagar University. This was a novel concept that reflected the local architecture. He worked with such a form in Chittagong University, one that echoes the mountains. Every floor had an open terrace in one side and mountains on the other. The buildings were gradually sliding on towards the mountain creating a beautiful graphic. Thus the aesthetics and perception of the structure were skillfully juxtaposed." With a modern Bangali mindset Islam was able to create something novel, yet his creation never undermined the reality of the land. His works are testimony to a complex relationship of architecture and politics. He has insisted on architecture's association to large social and political issues, especially within the South Asian framework. His works reflect a tension between social engagement and artistic autonomy, between political ideology and architectural production. His continued commitment to a rationalist and materialist philosophy has led him to antagonise mere manipulation of architectural forms. Over the years, he has become more politically inclined, he has argued for a broadening of the role of architects in South Asia in order to tackle and transform existing social conditions. A message from Islam's best friend shed some light on the essential qualities of Islam's creations. "I think the most difficult task is to make a thing simple. It is quite possible to produce a complicated composition, to engage the brain in great many exercises. But it is truly a difficult task to excite the brain by producing a truly simple thing. Not simplistic, but simplicity is what he invested in his works," he says. Islam's creations will inspire the coming generations. They will be able to learn that to achieve something there's no 'short-cut'.